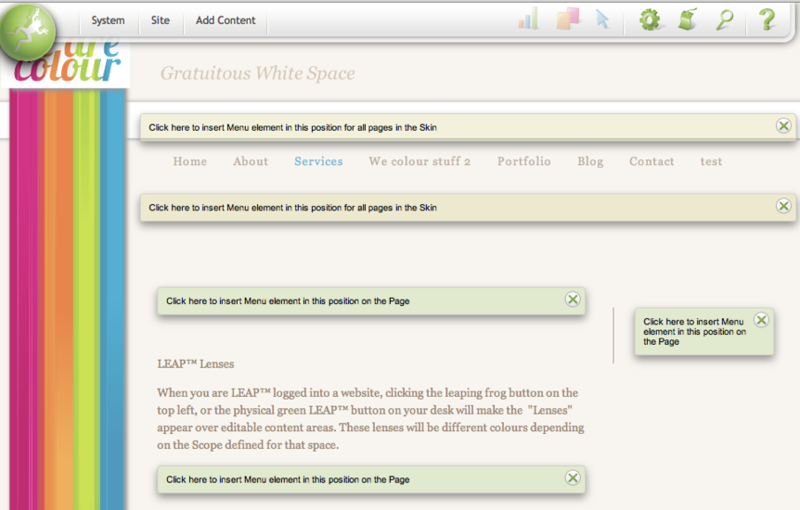 Use this to add a menu space on your page. When you click it, all the possible places for the new menu item will show. Activate the one you want by clicking into it and following the simple configuration steps. Changed your mind? Just click the X and the insertable element options disappear. If you want to configure a new menu or to add a new item into the menu you already have, go to Site / Menu Manager. This lets you add another menu item exactly where you want it to show on your page. TIP! if you cannot access the Site / Menu Manager it may be that you do not have the level of access to let you do this. You will need to request your System or Website Administrator to add the menu item for you.